Philip is a British painter and sculptor of Russian origin. Born in Moscow, into a family of two Russian composers, he left Russia at the age of 6 and settled in England. From the age of 15 he studied art privately with Russian artist and restorer Alexander Kolesnik, and then continued his education at Central Saint Martins College of Art and Design (Foundation), Slade School of Fine Art (BA in Fine Art), and on The Drawing Year at The Prince's Drawing School (now the Royal Drawing School). 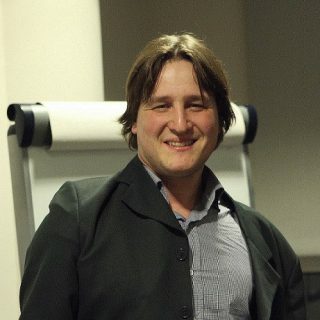 As part of his degree, Philip also studied Russian Film at SSEES (the UCL School of Slavonic and East European Studies). Additionally, he studied sculpture at City & Guilds of London Art School and did drawings — mainly in Florence, Naples and Rome. Philip had 13 solo exhibitions and took part in 13 group exhibitions. As an art tutor, he helps students of various ages with a wide range of art-related disciplines.